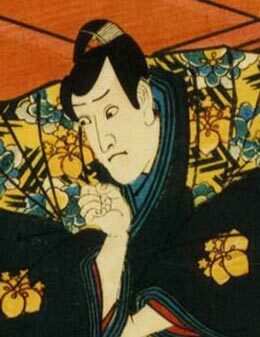 The actor Ichikawa Ebizô II held the name of Ichikawa Kuzô I from the 5th lunar month of 1697 to the 6th lunar month of 1704. He was the son of the kashagata actor Yamamura Sôzaemon, born at an unknown date. 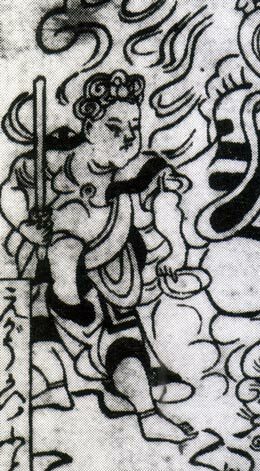 He started his career as a disciple of Sodeoka Masanosuke II and received the name of Sodeoka Shôtarô in the 11th lunar month of 1709 at the Yamamuraza. 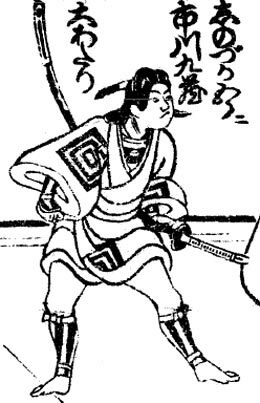 This wakashugata actor became a disciple of Ichikawa Danjûrô II in Fall 1718, taking the name of Ichikawa Kuzô in November at the Moritaza, playing the role of Miura no Arajirô in the drama "Zenkunen Yoroi Kurabe". He achieved a great success at the Nakamuraza in the 1st lunar month of 1720 by playing the role of Soga Gorô Tokimune in the new year drama "Ichi Fuji Raihai Soga". He suddenly fell ill a few weeks later and died the 27th of the 7th lunar month of 1720. The actor Ichikawa Danzô VI held the name of Ichikawa Kuzô II from the 11th lunar month of 1835 to the 9th lunar month of 1852. The actor Ichikawa Danzô VII held the name of Ichikawa Kuzô III from the 8th lunar month of 1854 to May 1897. 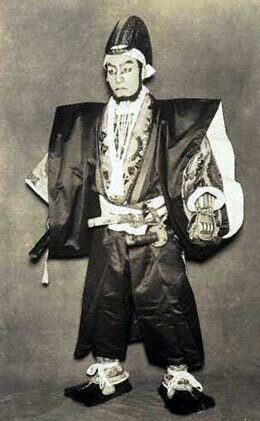 The actor Ichikawa Danzô VIII held the name of Ichikawa Kuzô IV from March 1908 to September 1943. 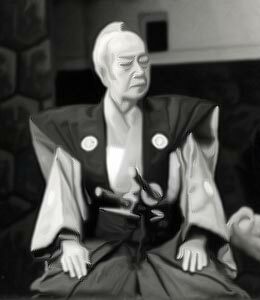 Ichikawa Kuzô IV playing the role of Kajiwara Heizô Kagetoki in the "Sushiya" scene of the drama "Yoshitsune Senbon Zakura"
Born in Nagoya the 1st of January 1910. Nephew of Ichikawa Kuzô IV, he made his first stage appearance in May 1914, receiving the name of Ichikawa Momotarô IV. 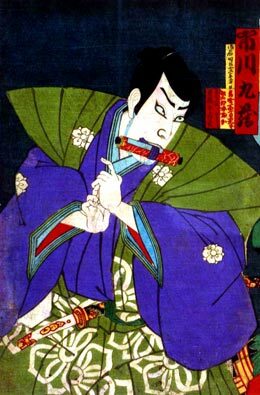 He left the Kabuki world in 1934, becoming a dance teacher named Hanayagi Momotarô (Buyô). He was back in the Kabuki world after WW2. He was adopted by Ichikawa Danzô VIII and took the name of Ichikawa San'en at an unknown date. He finally took the name of Ichikawa Kuzô V in September 1951 and held it up to his death the 2nd of October 1978. He was a supporting tachiyaku and a minor member of the Onoe Kikugorô Gekidan troupe. He was the father of Nakamura Moshio V.
Ichikawa Kuzô V playing the role of Kakogawa Honzô in the "Shinmotsu" scene of the drama "Kanadehon Chûshingura"